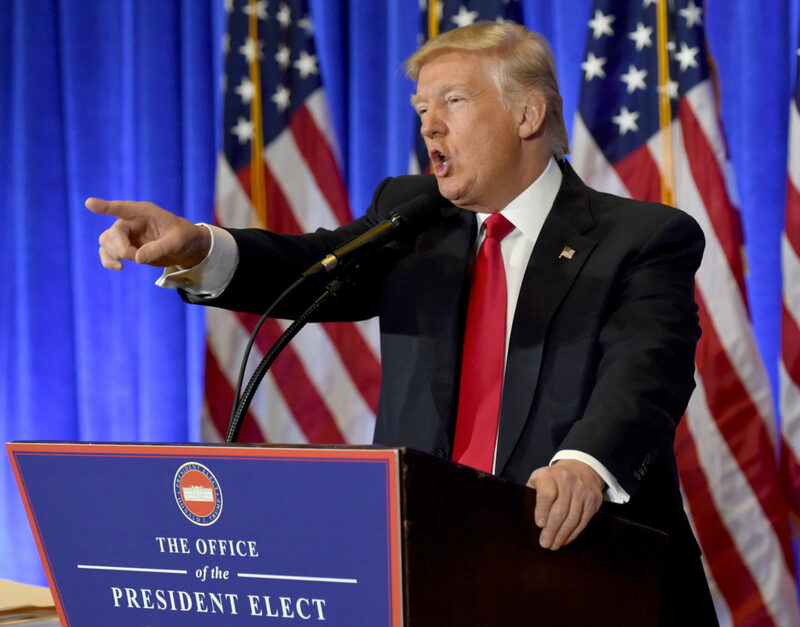 President Donald Trump’s rallies often become arenas to berate and boo “the enemy of the people”; journalists are being detained and killed all over the world and the words “fake news” have become such cliche they’re practically meaningless. The press is under an unrelenting attack on multiple fronts. This year, 38 journalists have been killed around the world, according to the Committee to Protect Journalists. In June, a gunman opened fire in the newsroom of the Annapolis, Maryland based newspaper, the Capital Gazette. Five people were killed as a result of the shooting. While the newsroom was under attack, the paper’s own reporters worked to cover the story. The Capital Gazette shooter held a years-long grudge against the newspaper for reporting in 2011 on a complaint filed against him for allegedly cyberstalking a former classmate. The threat of harassment against journalists has received more attention in the wake of the Capital-Gazette shooting. Reporters around the country have shared stories of threats shared in emails and voicemails. If local newspapers and national cable news outlets can’t perform the basic duties of their jobs, their coverage suffers, and if the coverage suffers, the public does. The public is better off when reporters are in city halls, state houses and the White House asking the tough questions. Reporters should feel safe in their newsrooms the same way we should all feel safe in our movie theaters and concert venues. While the president’s attacks on the press have been the most widely reported, the sentiment is not limited to the GOP. Alexandria Ocasio-Cortez, the progressive candidate for Congress in New York, recently barred the media from attending two town hall events that were open to the public. Constant threats and harassment from disgruntled or angry readers and attacks from the subjects of reporting are not limited to national or professional media organizations. These issues affect The Phoenix and student newspapers around the country as well. In 2016, a Phoenix reporter had to notify Campus Safety after an interview subject made several threats. In 2017, after publishing a staff editorial criticizing Loyola’s Greek Life community for not coming together to find a solution for alleged hazing incidents, The Phoenix was berated as fake news. The editorial mentioned Greek Life raises thousands of dollars for charities and philanthropic events, but that didn’t stop widespread backlash from the community. After publishing the editorial, The Phoenix’s Facebook page was flooded with one star reviews. It takes a bit more than a few bad reviews online to hurt the feelings of this editorial board, but the contents of the reviews were more revealing of how college students think about the press. 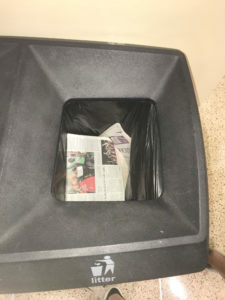 “Spreading misinformation for the sole purpose of pushing the publications view,” one wrote about the piece published in the opinion section of the newspaper. “Fake news is the enemy of the people. Incredibly biased and not worth reading. CNN would be proud,” wrote another. This summer, copies of The Phoenix were stolen from their rack and found in the trash. Attacks on student media isn’t only a Loyola problem. The Columbia Missourian is a community newspaper staffed by University of Missouri school of journalism students and managed by professional editors. A student reporter was covering a local election this year “when two men in separate incidents spat at and yelled at her. In both situations, the student backed away, silently, deciding there was nothing to be done at the moment,” wrote Katherine Reed, The Missourian’s public safety and health care editor. That’s exactly what it is for her reporter and The Phoenix’s reporters alike. Our job is to bring you — the Loyola community — the truth, and we refuse to be deterred because of the current political climate. On Aug. 16 more than 400 news outlets joined the Boston Globe’s call for solidarity in defending the press. Outlets big and small joined to stand up against attacks on the media. The Phoenix has felt the repercussions of these attacks and we are writing to add our voice. Journalism is fundamental to a healthy campus, neighborhood, city, state and country and it must be protected. But the Loyola Pheonix IS fake news. Sad!